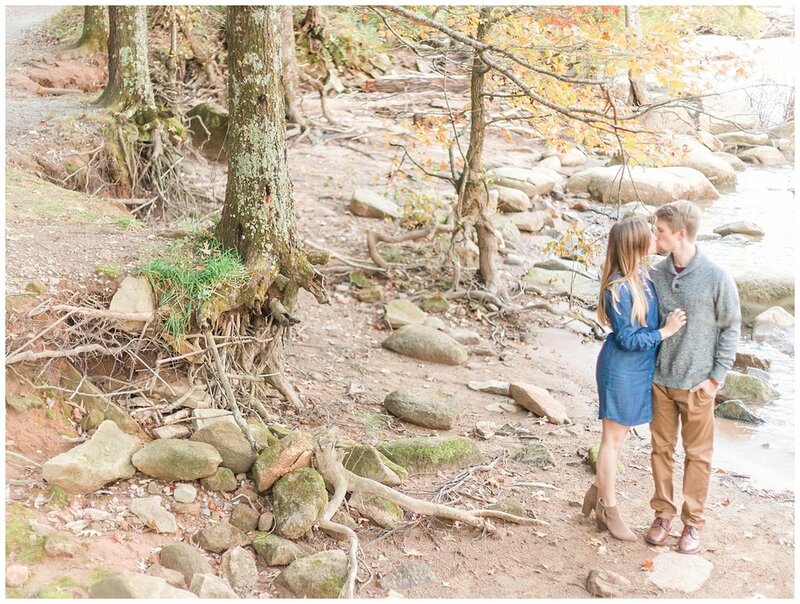 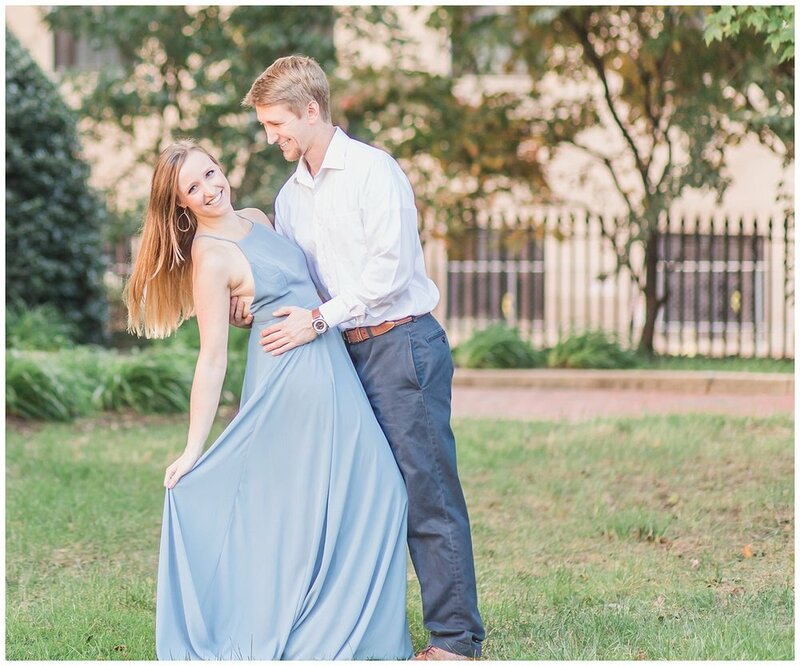 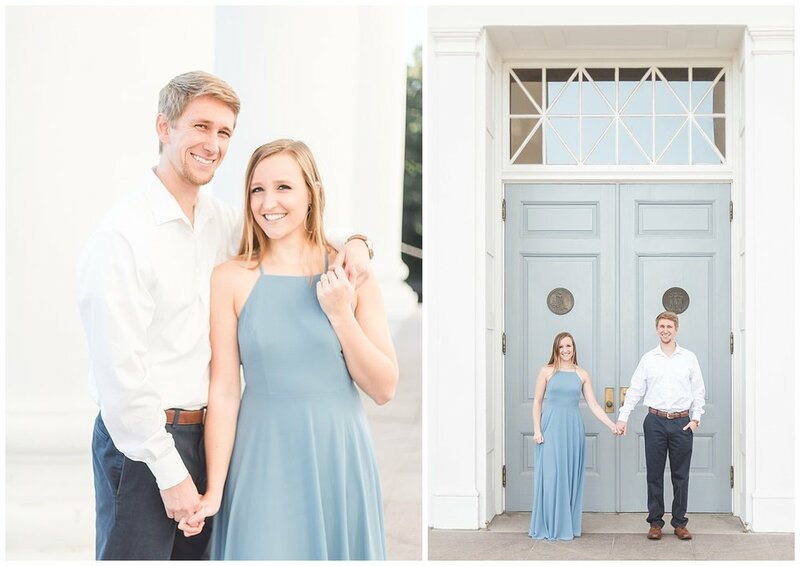 Abigail is relatively new to the area, but is embracing all things Virginia — so it would make sense that she’d choose locations for a perfectly classic Richmond, Virginia engagement session! 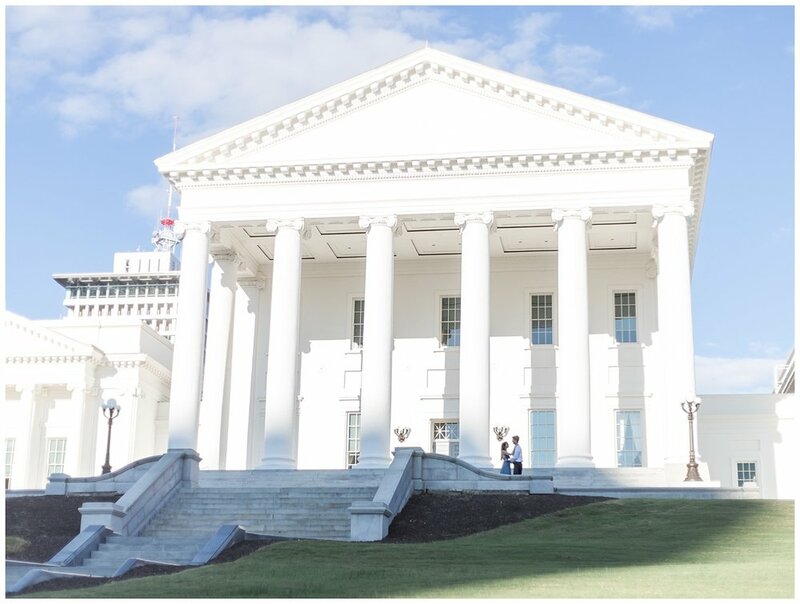 The two love Belle Isle and visit it often, so of course that was on the list, but they decided to first check out the beautiful grounds at the Virginia State Capitol, and I’m so glad they did! 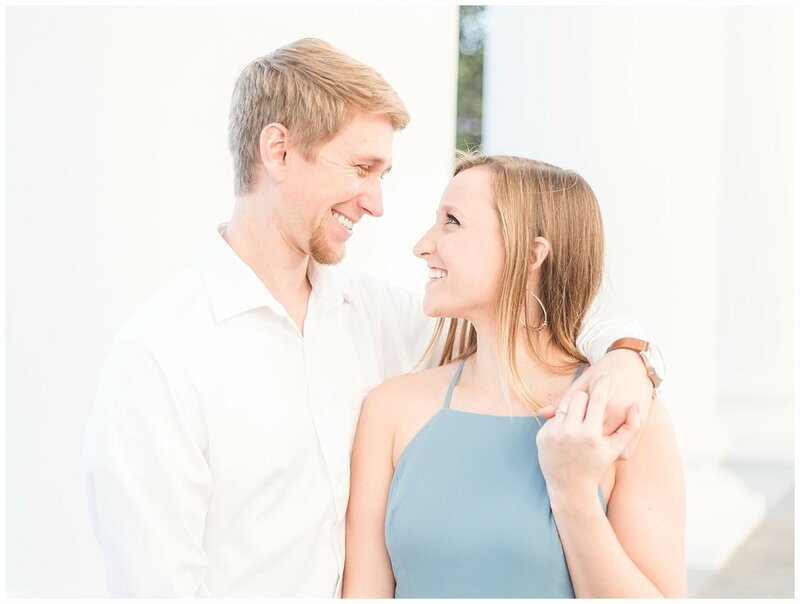 Abigail and Greg first met on the job. 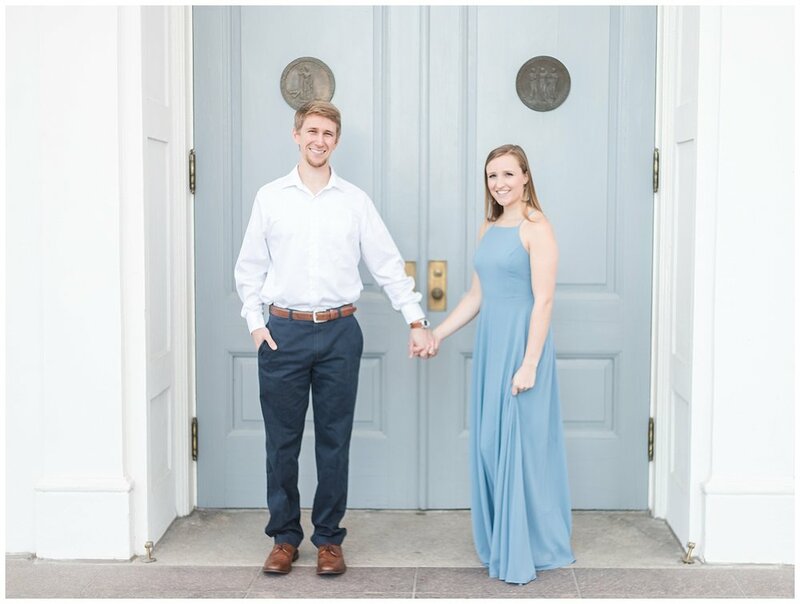 Abigail moved to Virginia from Iowa because she loves the beach and the mountains and knew she wanted to live near both! 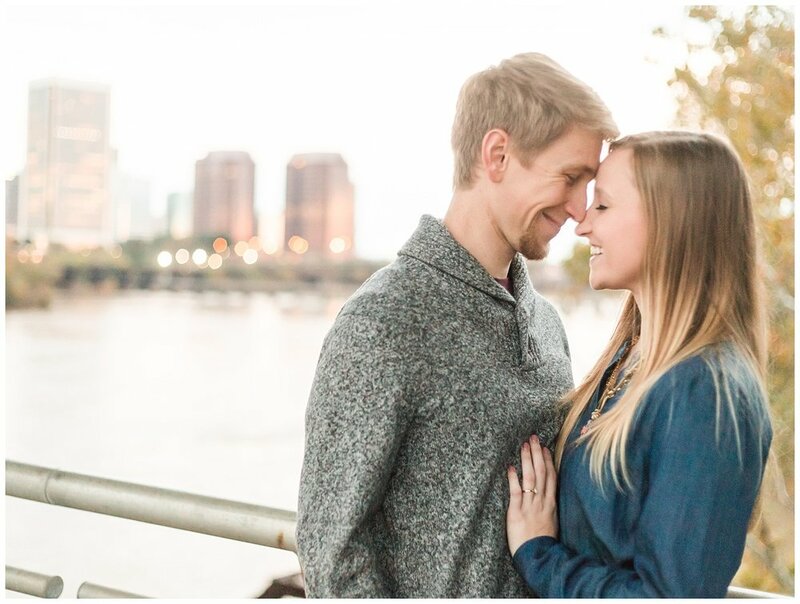 When she first moved to Virginia, she did not know a single soul, but was was lucky enough that a ‘cute colleague’ offered to help show her around the area since she was new. 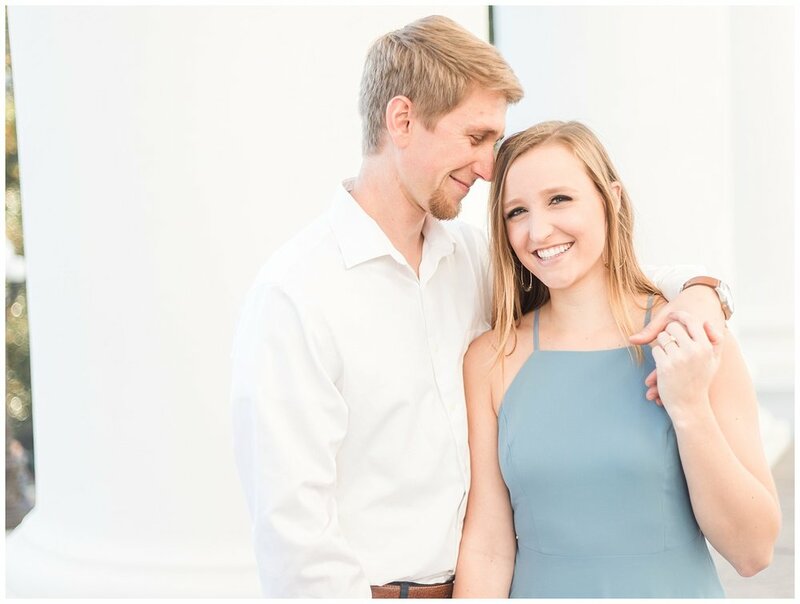 Little did she know that co-worker would be her future husband! 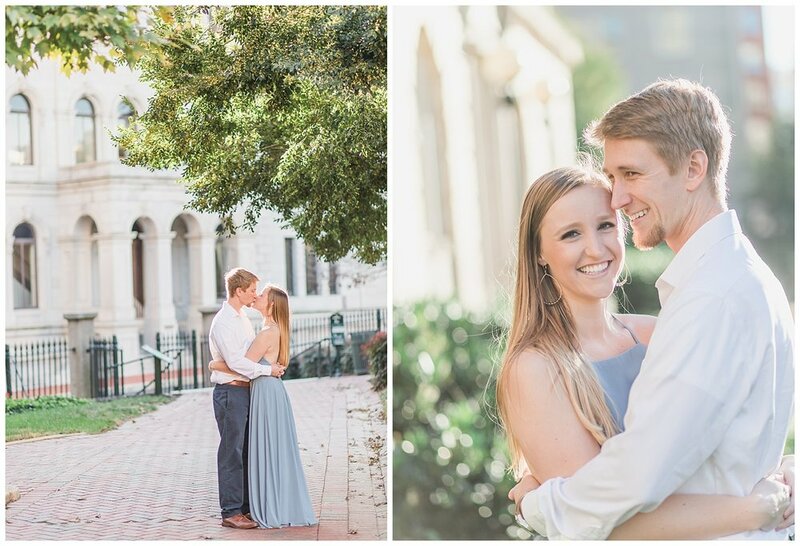 I always love seeing how couples interact together, and these two are so natural with each other and in front of the camera, that they made my job super easy. 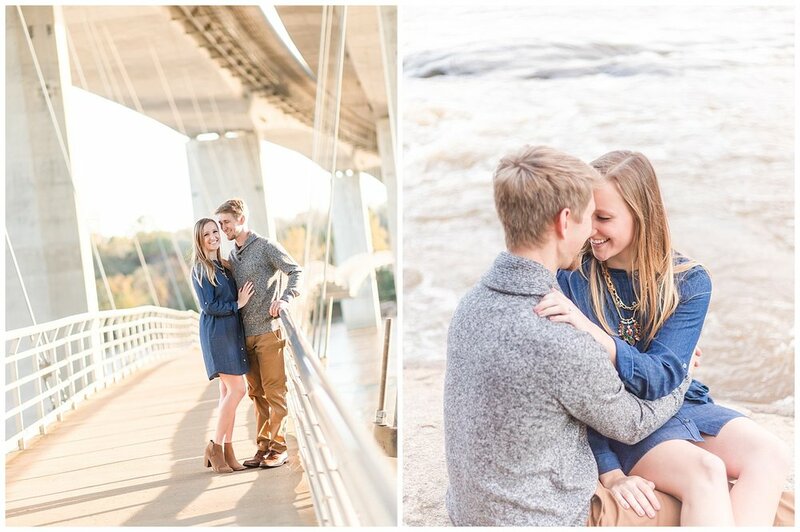 What a sweet couple! 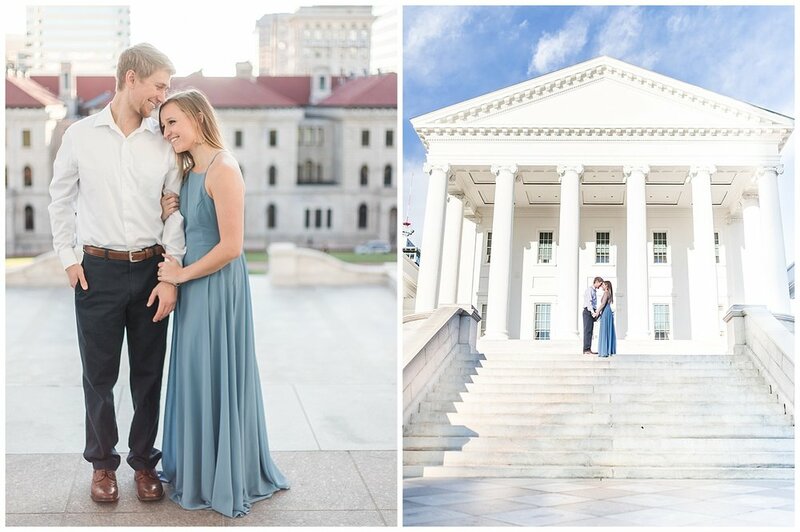 We had a great time photographing at the Virginia State Capitol and exploring Belle Isle together while capturing their engagement portraits! 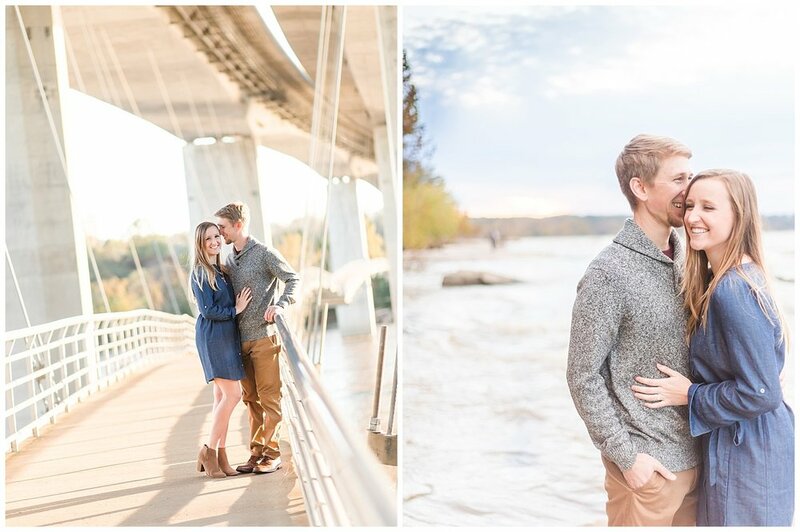 Here are a few of my favorite images from their very Richmond engagement session.